The Awhum waterfall is a beautiful place to be as it boasts of massive outcrop of granite rock with water cascading over the top forming a stream. A section of the waterfall is always warm through the season. 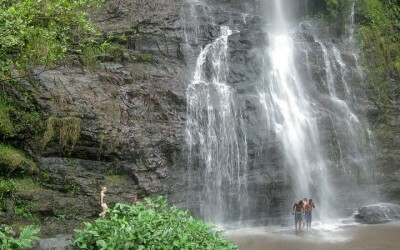 The waterfall is 30 metres high and is located close to Awhum Monastery. 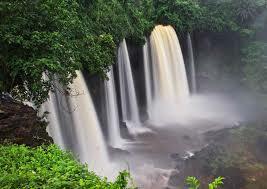 The water is said to be curative, and capable of dispelling evil or satanic forces if and wherever sprinkled.